There are 8 reviews of Baptême du Feu. I am slightly fascinated by this scent. It's unusual. 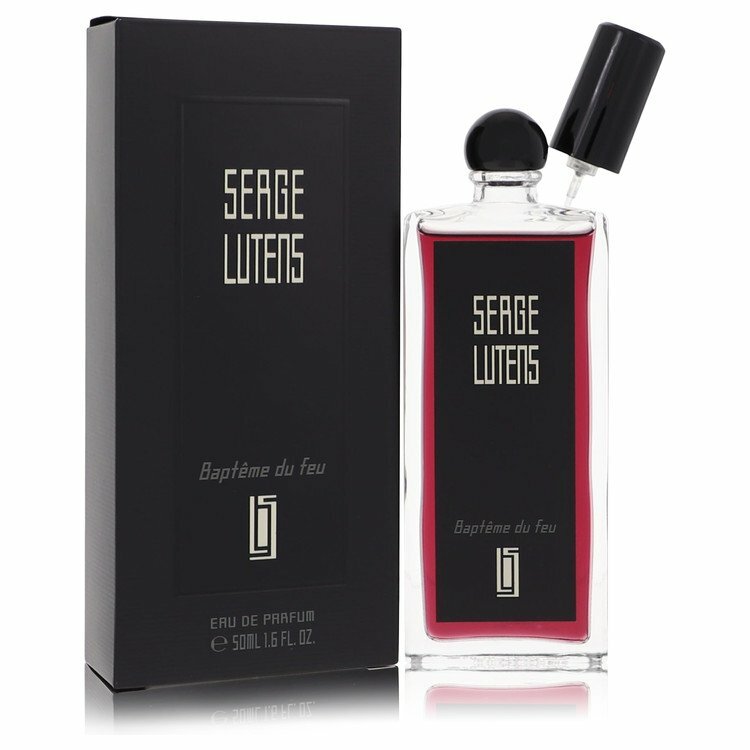 To my nose, this opens with autumnal dried fruit that immediately calls to mind Lutens's Arabie. It settles to something in the same family but rather different. To test, I sprayed Arabie on my other arm -- it's sweeter and more "potpourri"-ish. Except for mandarine, I am unfamiliar with the notes in this perfume. It's maybe because of this that the individual notes are indistinguishable to my nose. But after reading about them here, I think I'm primarily getting the gingerbread -- but the way it's done is quite unusual. Maybe it's the "gunpowder" (whatever chemical compounds that actually is) that gives this its unique character? Worth a sniff, at least. I have no idea what this is about when I smell it. It's smoky, powdery, sweet, spicy, woody, floral. It's everything at once. A gorgeous pot pourri. I love it. Longevity is good but sillage is average. I was underwhelmed by this scent. I think it could have been much more interesting. The "scorched mandarin peel" and gunpowder should have produced a smokey, mineral note like fireworks. Not really any of that. Gingerbread + osmanthus should be a tea-and-cake chord... barely that. No animalic notes that I can see, nor any wood. The main element is the osmanthus: a green-white floral, a bit like jasmine with a peach note in the background. Oddly metallic. A slight toasted note lurked in the far edges. Different and unusual -- sort of. But not all that intriguing. These type of fragrances I find hard to describe. 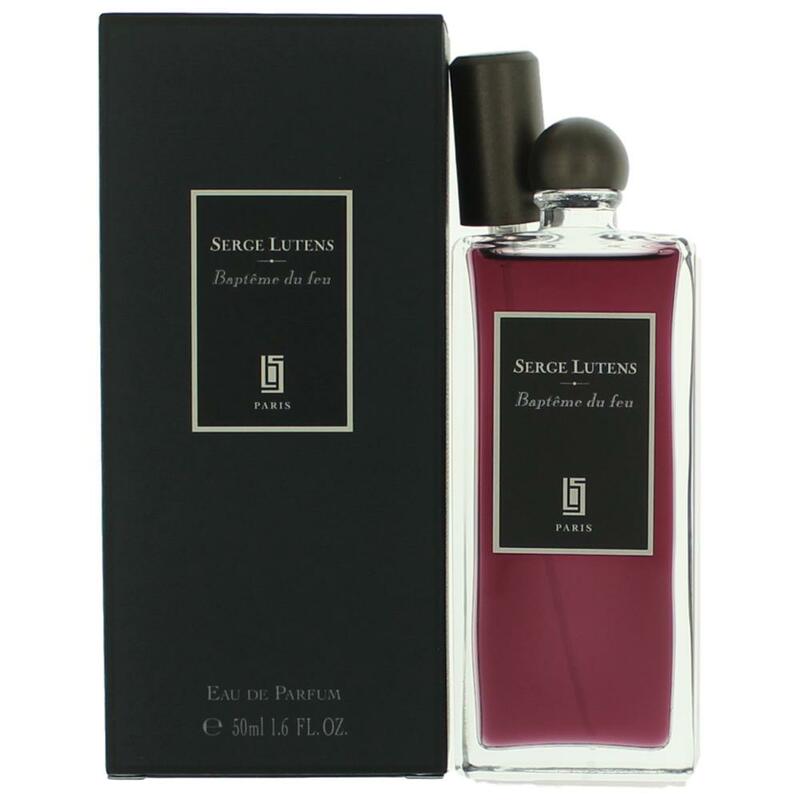 Dark red juice containing facets of boiled fruit sweets, cinnamon, ginger all enveloped in a cold, icy dryness. 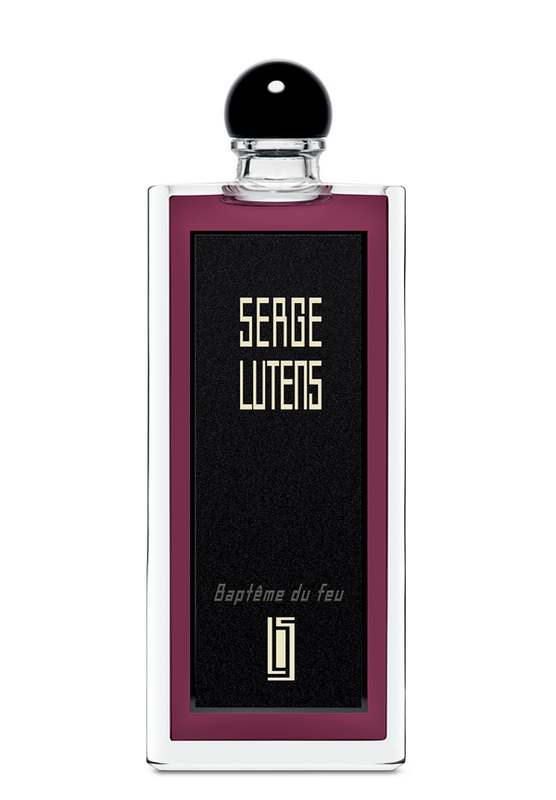 You can never accuse Serge Lutens of being bland. There are no member images of Baptême du Feu yet. Why not be the first?